One of the great joys of Korean cinema are the unexpectedly fascinating twists and turns of plots; of startlingly powerful scenes examining issues of ‘han’ juxtaposed with quiet, intimate ones; of characters who endure the most difficult of circumstances in Korean society yet refuse to falter. Here we celebrate 10 of the most memorable moments of Korean cinema from 2014. To see what memorable moments made the list in 2013, please follow the link here. Following a minor conflict with customers at the supermarket, Hye-mi ends her shift and prepares to leave…until those customers, headed by management, descend upon her demanding an unwarranted apology. However a mere apology isn’t enough for the spiteful patrons. In an unbearably humiliating scene, Hye-mi is forced to get on her knees and beg forgiveness for something that wasn’t her fault, with director Bo Ji-young impressively building the indignity and shame to anger-inducing levels. Actress Moon Jeong-hee is incredible throughout the scene, wonderfully conveying the soul-swallowing, abject shame she is forced to endure in order to keep her job. Such economic arrogance certainly strikes a chord with Korean audiences as, ironically, only a couple of months after Cart‘s release, the Korean Air ‘nut rage’ scandal enraged the country and calls forth the exact same issues dealt with in the film. The Fatal Encounter was certainly one of the most attractive Korean films released in 2014 and is a stunning debut showcase of director Lee Jae-gyoo’s prowess. In one of the most intense scenes, King Jeongjo plans to visit his grandmother…yet rather than an old woman, he is confronted with stunningly beautiful actress Han Ji-min. During the encounter the sexual tension and danger of the situation is palpable, as the two engage in a battle of wits while the ‘grandmother’ seductively bares her perfect skin to the young king. 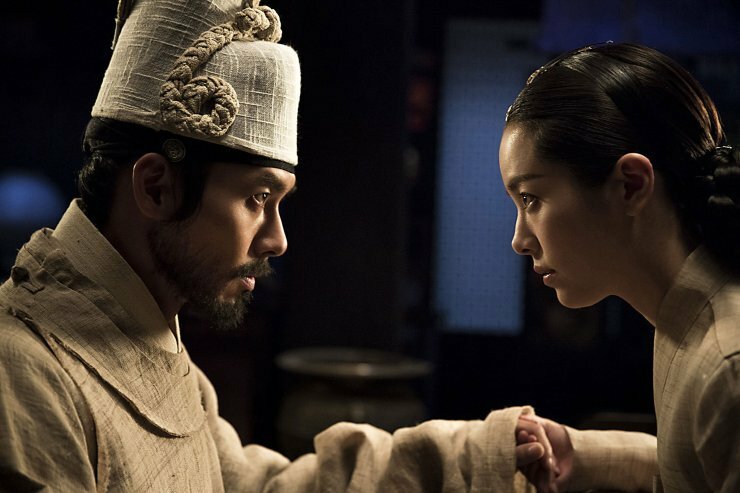 The scene wonderfully captures the danger and eroticism of the period with incredible tension, highlighting not only director Lee’s skill but also the acting abilities of Han Ji-min and Hyeon-bin. When police officer Yeong-nam decides to act as guardian for troubled youth and domestic violence victim Doo-hee over the summer, neither of them could ever expect the end result. Incarcerated due to her sexuality, Yeong-nam’s life is effectively over, until Doo-hee takes matters into her own hands. Plying her father with alcohol until he passes out, Doo-hee undresses and crawls into his bed before calling the police and, while the line is connected, shockingly fakes sexual abuse at his hands, incriminating him as the perpetrator of a horrific crime while also exonerating the innocent Yeong-nam. Actress Kim Sae-ron is simply excellent throughout the disturbing sequence, conveying Doo-hee as vulnerable yet frighteningly manipulative. Agreeing to take illegal Chinese immigrants into Korea, captain Cheol-joo becomes increasingly nervous…particularly when the coastguard comes for a surprise inspection. The crew hurriedly force the newly acquired passengers into a special room in the hull until danger has passed, yet when they reopen the hatch they are horrified to discover the immigrants are all dead. Not knowing what to do, the ruthless captain orders his men to grab a tool and begin cutting up the bodies and to throw the limbs overboard. As the crew horrifically hack and slash their way through the innocent travelers the deck literally turns red with blood. 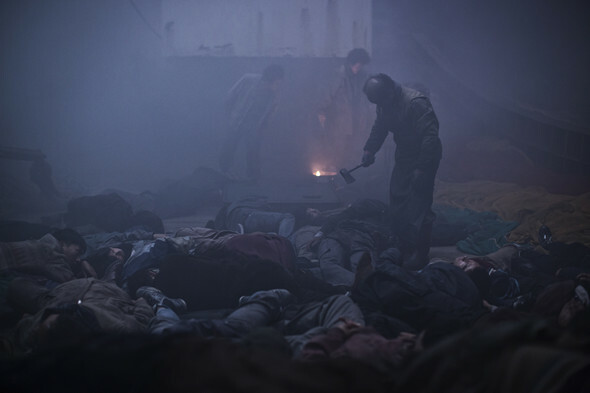 Director Sim Seong-bo brilliantly stages the terrifying scene with wonderfully composed shots and the dense, lingering fog within which the brutality takes place. Detective Go genuinely has one of the most difficult days in his career. His mother has died. He is under investigation by internal affairs. And he kills a man in a shocking hit and run accident. Desperate to get rid of the body, Go does the unthinkable and decides to put the body in the same coffin as his dead mother. Yet in order to do so, he must position his car perfectly, use his daughter’s toy to drag the body through an air vent, unscrew the nails in the coffin and replace the lid – all while avoiding CCTV cameras as well as the funeral parlour workers. Amazingly Go manages to succeed in his frantic quest and begins to relax….until the man’s cellphone begins ringing from inside the coffin. Easily one of the most exciting, darkly hilarious moments of the year. Let’s Dance is a moving, insightful documentary on the topic of abortion in Korea. Director Jo Se-young expertly interviews a variety of women who have undergone the procedure – some who actively wanted it, some who were in a difficult situation and needed it, and one who was forced. Listening to the woman’s story is heartbreaking as she describes her relationship with a selfish, manipulative boyfriend who refused any part of the situation and forced her to deal with it alone. As she explains her trepidation surrounding the issue and the resultant lateness in having the abortion, it’s impossible not to be deeply, fundamentally moved. The descriptions of her situation and psychologically at that time are incredibly powerful as well as illuminating, and poignantly highlight the need for support for women in challenging relationships and situations. For much of the running time, Miss Granny is simply a mild-mannered comedy, one that induces the occasional giggle rather than laughter. That all changes however during the film’s final few minutes as elderly Mr. Park, who had desperately tried to woo Mal-soon (and supported her younger self, Doo-ri), visits the same magical photography studio. 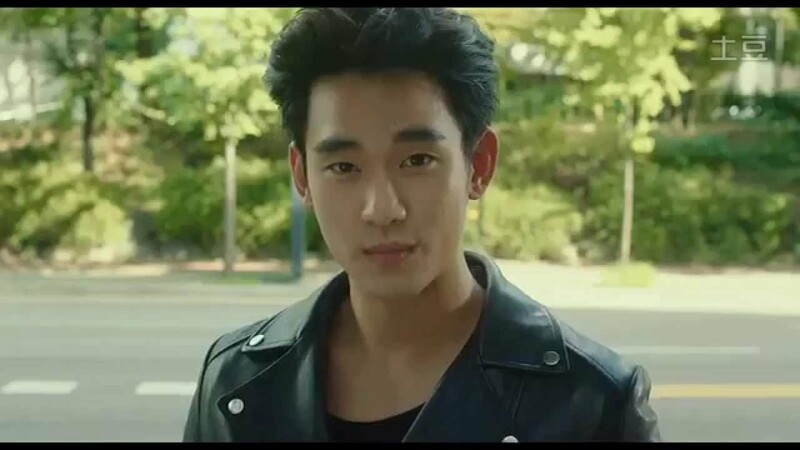 He then visits the bus stop to meet Mal-soon, approaches her, and takes his helmet off to reveal…Kim Soo-hyeon. Through this genius cameo, cinemas exploded as viewers screamed and whooped at Kim’s presence, and guaranteed that cinemagoers would leave the theater excited and spread positive word of mouth about the film. You can see Kim’s big reveal in the video below. Revivre is a highly emotional film, largely due to the phenomenal acting prowess of Ahn Sung-gi. In the film’s most powerful scene, Sang-mo’s (Ahn) terminally ill wife loses control of her bowel and soils herself, and as a dutiful husband he takes his wife to the bathroom and washes her. Yet the abject humiliation is too much to bear and she emotionally breaks down in tears, while Sang-mo tries to support her and remain strong. However what makes the scene so poignant is its depth. Sang-mo’s love for his wife has faded and he is merely being a responsible husband, which his wife is all too aware of. As such the intensity of her embarrassment and the emotional resonance of the situation are heightened beyond words. A masterclass in acting ability by Ahn Sung-gi and Kim Ho-jeong. As Korean unfortunately has one of the highest rates of suicide in the OECD, and one which is especially high amongst teenagers, naturally filmic narratives have sought to portray the issues youths face on a daily basis. Most films tend to focus on the teen suffering from abuse, yet Thread of Lies instead explores the lives of those effected by Cheon-ji’s suicide with flashbacks revealing her decent into depression and those responsible for it. Modern bullying is distressingly articulated through the birthday party scene, in which Cheon-ji arrives at the event late after being told the wrong time. When she does enter, all the girls at the party begin using a social messenger application to spitefully criticise the distraught young girl right in front of her. Her loneliness and isolation are poignantly captured in this powerful scene, conveying that everyone in Cheon-ji’s life contributed to her depression and are accountable for her suicide. Easily the most controversial film of the year, The Truth Shall Not Sink With Sewol examines the inept response following the disaster, with the investigative journalist style elevating the documentary heads and shoulders above other releases. 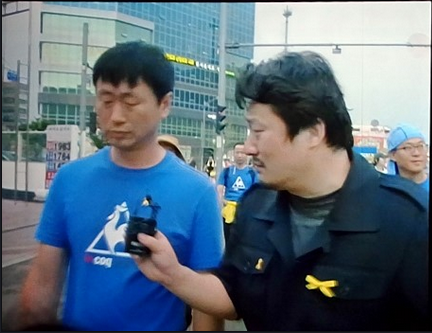 Yet the most emotionally harrowing scene comes in the film’s last few minutes, as director/journalist Lee Sang-ho joins a protest march as parents of the deceased demand action from the government. Asking a father about his feelings and regrets, the grieving man sobs as he states how he wishes he’d told his child to not listen to the officials, how he wished he’d said to run and escape, how his child is not alive today because of his poor advice. Director Lee desperately attempts to console the father despite his own free flowing tears…and audiences were right along with them.